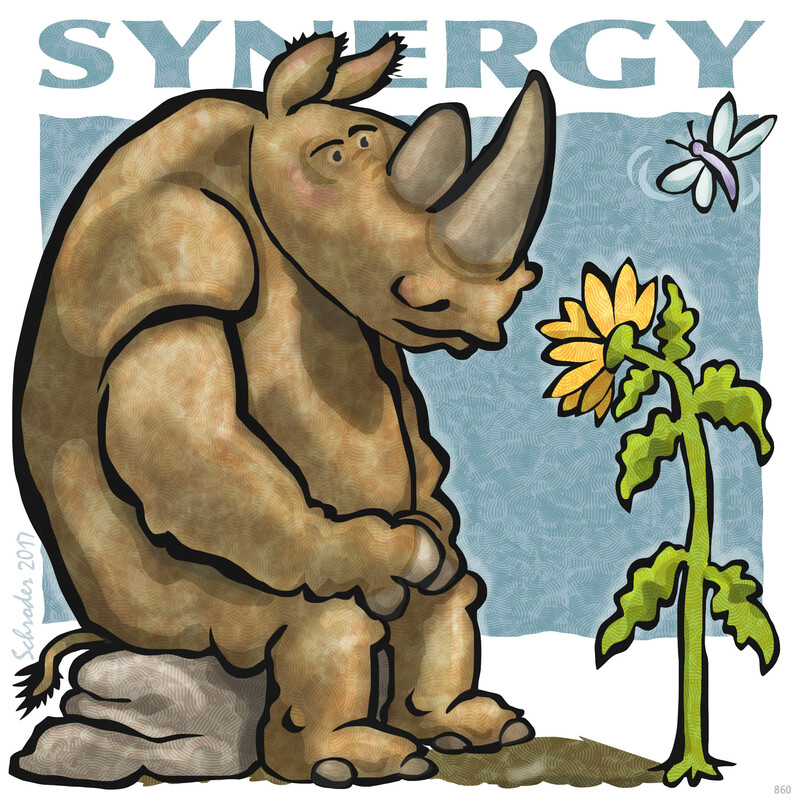 Synergy is the result of combined efforts of two or more somethings, among which Rhinos count, big time. (We think of ourselves as ‘Something Else”.) The idea is that by allying ourselves with other living things, We each get a boost. Win/Win. We suspect that rocks may also make their own contribution to the general dynamic. There they are, making a statement, right? It’s nice to know Rhinos have back-up, whichever way We turn, but not for free. We have to pay attention.